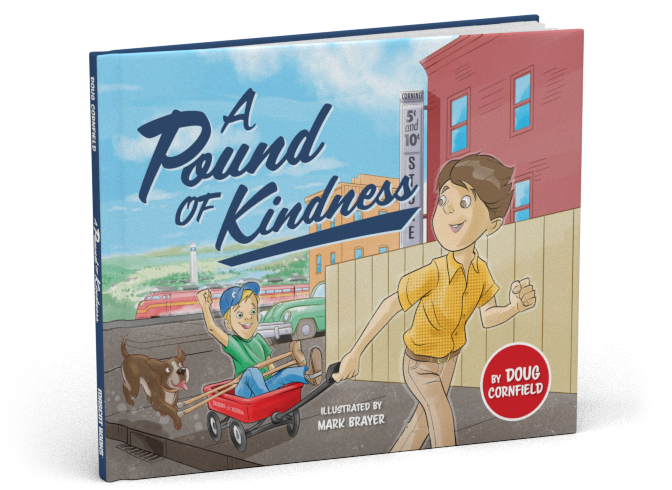 A Pound of Kindness is a true story from the childhood of Dave Clark, the only professional baseball player to pitch from crutches, A National Hero of Sports winner, and an advocate for children with differing abilities. 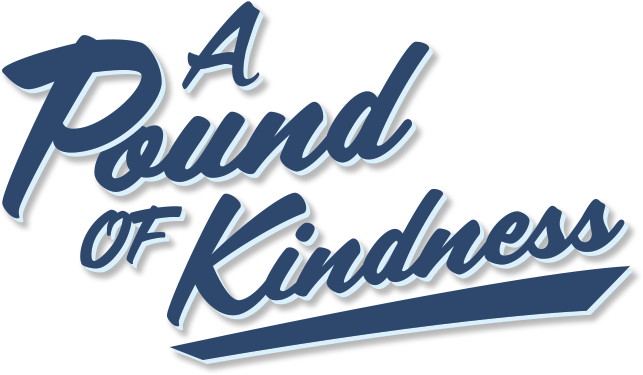 Having worked with Dave for a number of years through their Disability, Dream, and Do sports events, Doug J. Cornfield wrote A Pound of Kindness to share with children and parents alike the enduring power of a simple, thoughtful act. What began as a Kickstarter is now a children’s picture book and a movement to empower children of differing abilities through sports. 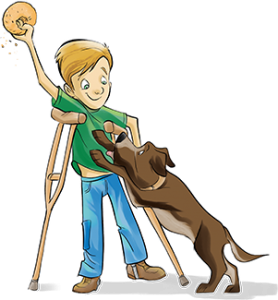 First-grader Dave Clark is an active kid who loves playing with his crazy Dog, Duke. Dave lost the use of his legs to polio as a baby, has full length leg braces and uses crutches. So, when his teacher announces a “walking” field trip to the local fire station several blocks away, Dave is anxious. What if he has to take a break? What if he can’t keep up? Noticing Dave’s discomfort, one of his classmates, Ernie Pound, comes up with a plan to help—a Radio Flyer wagon.